On the final hand of play, Shannon Shorr was all in from the big blind holding [Ks][7h] and was trailing Leo Feinzaig's [Ad][Qs]. The [4c][Jd][2h][5c][4s] board failed to pair Shannon, and he will exit this tournament in 2nd place, good for $58,795. 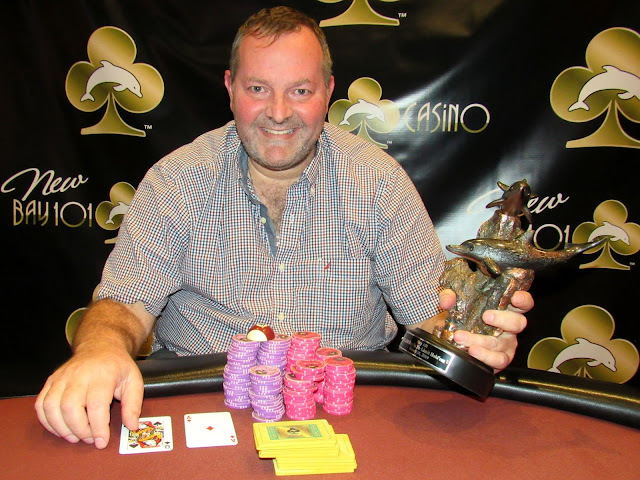 Leo Feinzaig has won the $2,100 Shooting Star event, taking home the title and the trophy. He will collect $100,000 and is considering playing the Main Event tomorrow. Congratulations, Leo!